While Rand Paul and others on Capital Hill rail against the Obama administration’s use of unmanned predator drones, a far sadder story is playing out in communities across America. Legions of retired predator drones have been decommissioned for reasons ranging from age to mechanical malfunction and, in at least one highly publicized incident, a sordid affair with a remote-control helicopter from SkyMall magazine. Recently, some of these newly-unemployed drones have stepped forward to detail the rough transition to civilian life. 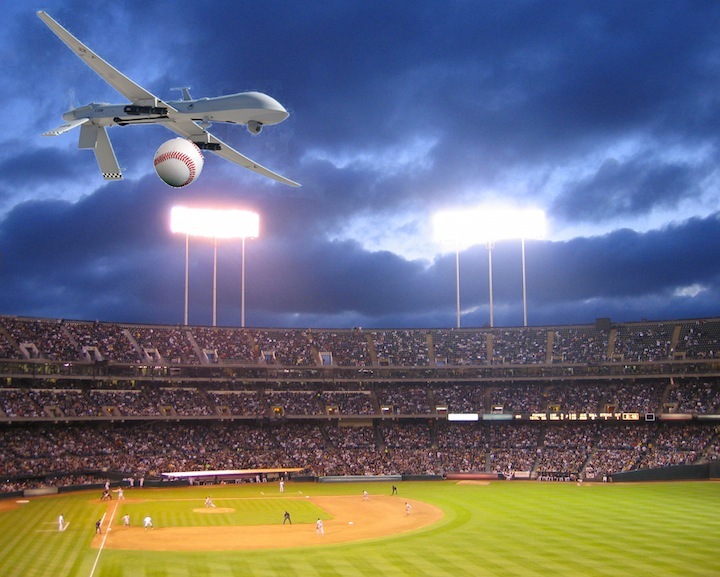 Many drones have turned to dabbling in hobbies like building model airplanes or bird-watching, while others have been seen volunteering their services at MLB spring training practices, dropping fly balls for outfielders to catch during pre-game warmups. No matter where they turn, however, drone activists have had difficulty getting their message out, an issue they largely attribute to the engineers who designed them to be as quiet as possible.